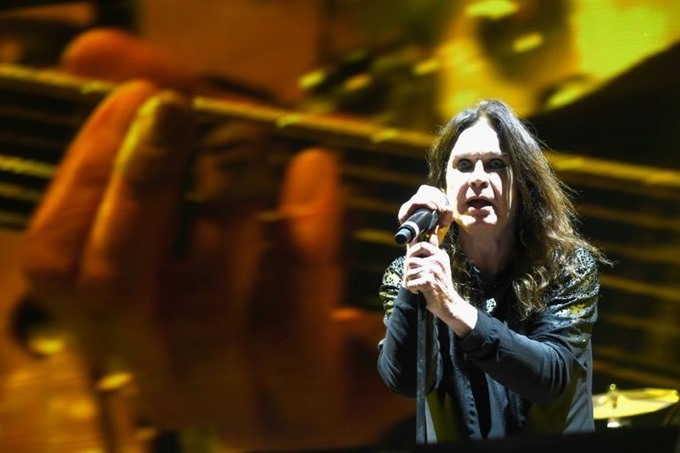 NEW YORK — Metal legend Ozzy Osbourne announced Monday what he said will be his final tour, months after his original band Black Sabbath called it quits. Osbourne — who has maintained an avid following for five decades with sensational and often sinister live shows — will open the tour on May 5 in Mexico at a venue to be determined. The "Prince of Darkness" will then tour Chile, Argentina and Brazil before a month of European dates opening on June 1 in Moscow. The 68-year-old English singer turned Los Angeles resident said he will close out the tour in North America, with dates to be announced later. "People keep asking me when I’m retiring," Osbourne said in a statement. "This will be my final world tour, but I can’t say I won’t do some shows here and there." His touring band will mark the return of American lead guitarist Zakk Wylde, who helped define Osbourne’s fast-charging sound starting in the late 1980s. Osbourne replaced Wylde in 2009, with varying accounts behind the split, but recently brought him back on. Black Sabbath was instrumental in creating heavy metal, taking the foundations of the blues while bringing in a distorted guitar and a fascination with the occult. Black Sabbath — with Osbourne, co-founder Tony Iommi on guitar and main lyricist Geezer Butler on bass — on February 4 returned to the band’s hometown of Birmingham for what the rockers said would be their last show. Osbourne, who was fired from Black Sabbath in 1979 over substance abuse and other concerns, found global success and plenty of controversy as a solo artist.